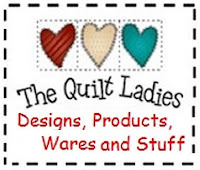 The Quilt Ladies Book Collection: Quilter's Valentine Quilt Pattern for YOU ! 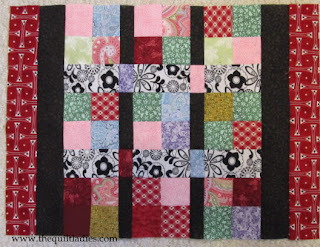 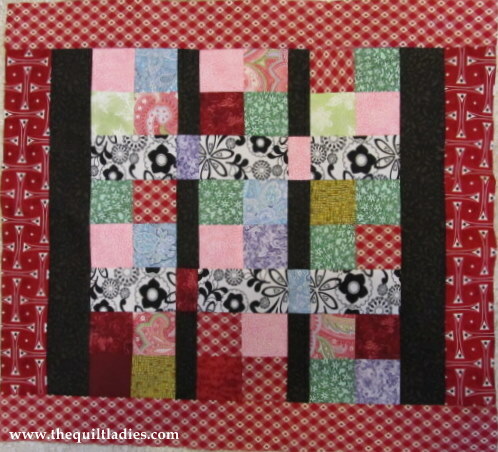 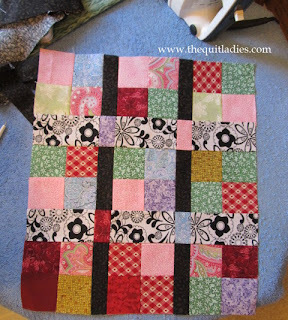 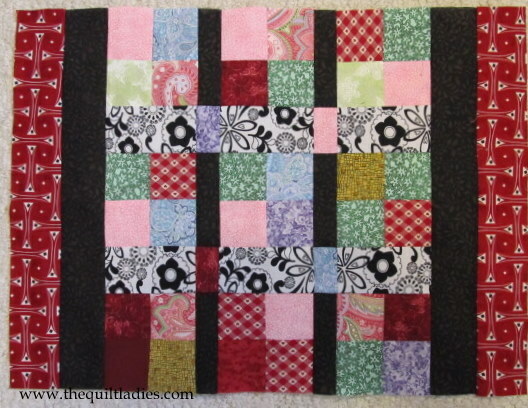 Quilter's Valentine Quilt Pattern for YOU ! 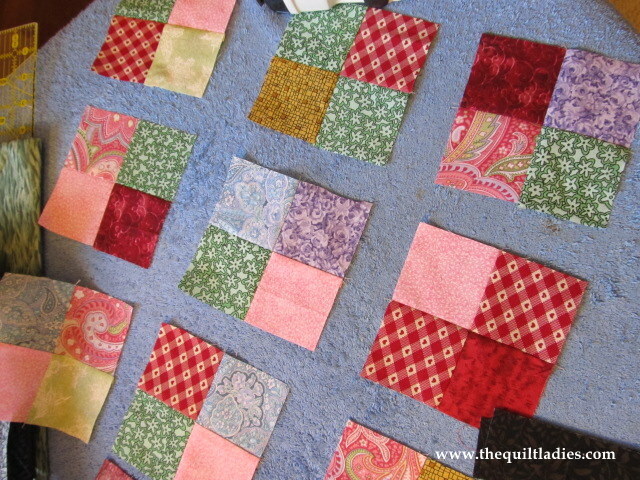 Cut 36 squares - 2 1/2" x 2 1/2"
Lay them out and like color placement. Cut 6 Dark - 4 1/2" x 1 1/2"
Cut 4 - 2 1/2"x 1 1/2"
Cut 2 Dark - 2 1/2" x 16 1/2"
Cut 2 Red - 2 1/2 x 16 1/2"
Cut binding 88" x 2 1/4"
I'm going to TRY and do machine quilting on this, it's gong to be my TRY !